Ronald Oswalt of Sports Marketing Experts is a long-time athlete and sports lover who has combined his passion for sports and marketing in his current career. Sports Marketing Experts works directly with coaches on how to properly market their teams. Many people may not think that sports marketing is something that youth sports teams would benefit from. Ronald knows that this isn't true. He took some time to discuss exactly why and how a team could benefit from his company's services. • Exactly why SME's services are needed. 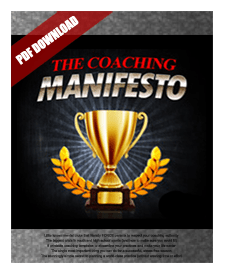 • That it's unnecessary for youth sports team coaches to pay for the team's needs out of their own pocket. • The importance of work and communication in order to make the program work. • An overview of the services that SME offers its clients.